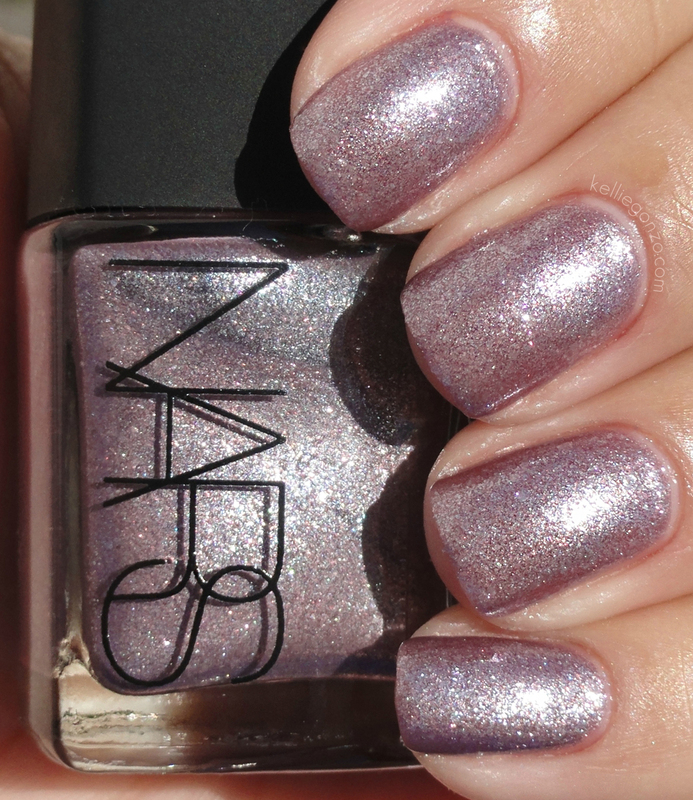 Here are two polishes from Nars' Night Series, based on the iconic Night Series eyeshadow palette. 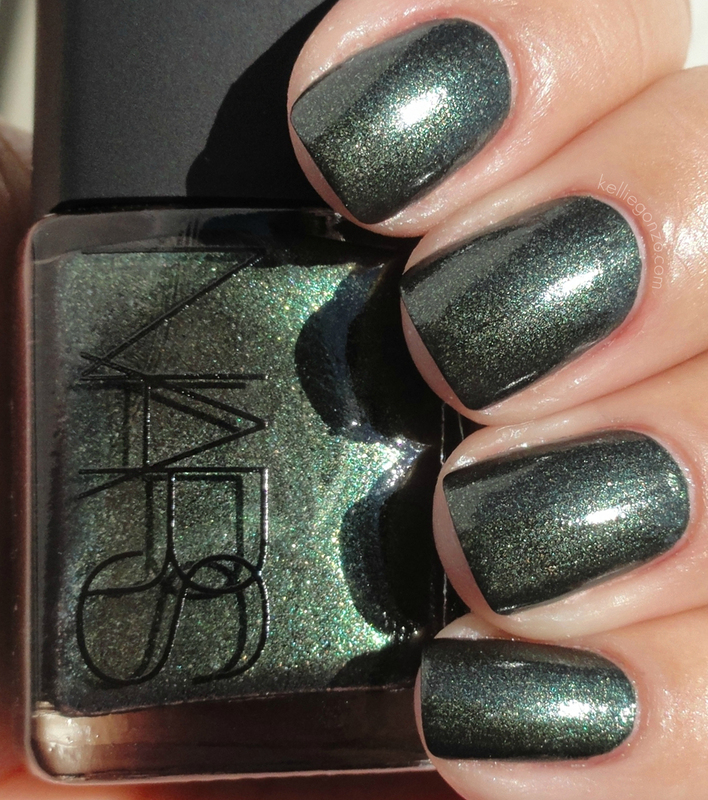 Night Porter is a fantastically drool-inducing blackened emerald with green, blue, and gold shimmer flakes, almost glass flake looking. This is seriously ga ga gorgeous, I can't handle it. This one I passed on buying but my sister snatched it up, so I borrowed it to swatch. O.M.G. I can't believe I didn't get it. This is two coats with a topcoat for shine, as it dries dull. Night Rider (of course, my mind immediately goes to David Hasselhoff) is a greyed pinky lavender jellyish base with plummy pink and silver shimmer flecks. This formula wasn't fantastic but it was acceptable. This is two coats. Currently these are still available on narscosmetics.com along with Night Flight, the blue polish. It looks like the only one currently unavailable is the black and silver Night Breed. You may also still be able to find these at your local Nars counters. Have a great one dolls!